What are the points for manufacturers and retailers in planning 2016 new online business strategy? Convenience oriented E-commerce has gradually spread from flight ticket, clothing, 3C commodities and books to FMCG products; therefore, how to master the online shopping groups’ purchase behaviors has become a critical challenge for manufacturers and retailers. 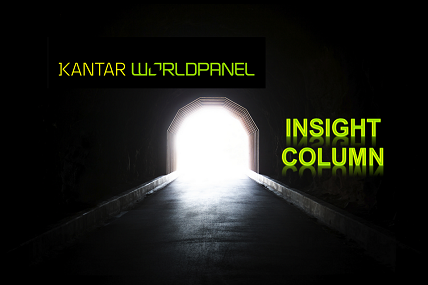 Consumer panel expert, Kantar Worldpanel, had stated in their “Accelerating the growth of e-commerce. 2015 Edition”, online’s share in Taiwan FMCG has been getting higher and higher in the past five years, grew by 20% in average every year. 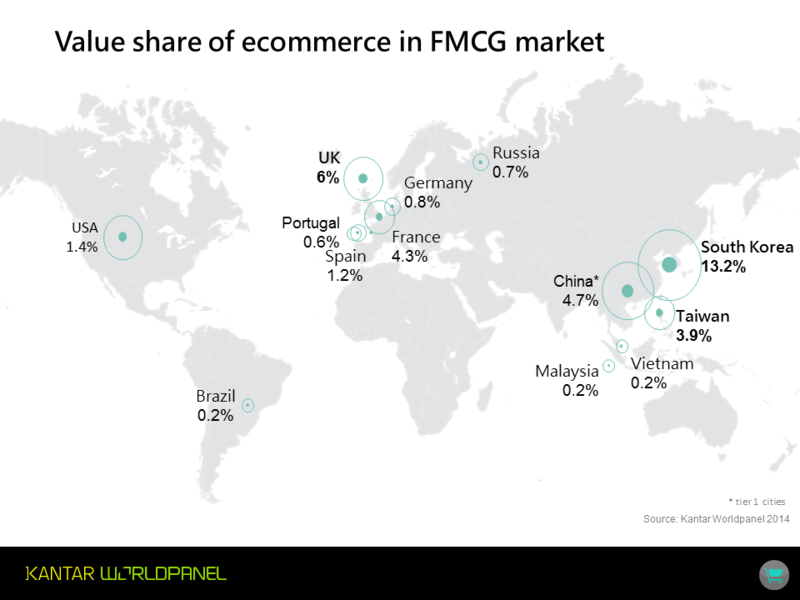 By end of 2014, online’s value share has reached 3.9% in Taiwan FMCG market while it even grew to 4.4% in the latest 2015 report, Taiwan is positioned as the most advanced e-commerce markets in FMCG ( See Figure 1). By benchmarking the e-commerce leading country, South Korea, the key driving force to boost online channel is “penetration”; hence, Kantar Worldpanel has analyzed online shopping groups’ purchase behaviors and summarized the following points to guide manufacturers and retailers in planning 2016 new online business strategy. Kantar Worldpanel has indicated that, online channel has recruited more buyers among all Taiwan families’ groups (see Figure 2). According to 2014 report, the penetration of online among young single/new born families was 61%, 34% among teenager families, and 33% among adult/old single couple families. These figures all shows significant improvement comparing with five years ago, indicating that people are more willing to embrace this new channel as their FMCG shopping channel and this trend has urged manufacturers and retailers to provide customized service to each different group by deeply understanding their purchase behaviors. For example, Kantar Worldpanel points out the reasons why young families prefer online shopping: first, the majority of young generation is traditional internet heavy user; furthermore, it is common for Moms to learn parenting knowledge from the Internet community nowadays, in this case, they tend to easily accept and purchase good products for babies by words of mouth, and then they can purchase the products online at the same time. In particular, it is easy to compare product prices between websites and easy to order online, home delivery service even eases Mom’s burden of carrying babies out to shopping. Online shopping is undoubtedly to be favored by Moms. On the other hand, as most of babies’ products are running out quickly, and need to make regular purchase, this not only makes online penetration is high among young families but also leads to high online purchase frequency among this group. The development and demand of online channel for each category is also different. 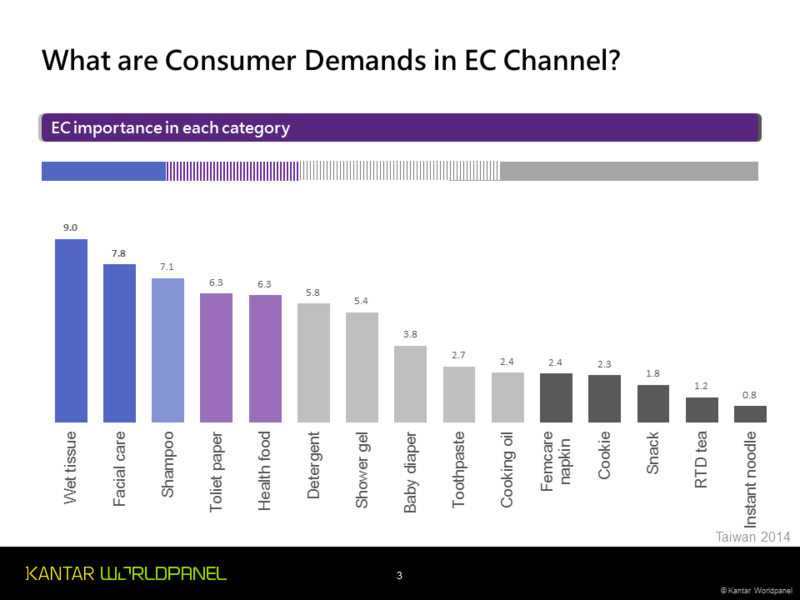 Among FMCG categories that Kantar Worldpanel tracked, the highest online value share is found in wet wipe (9%), followed by skin care (7.86%). The reason why online channel presents outstanding performance in wet wipe is because of its “Value for money” – Baby wipe has high usage frequency therefore people needs to purchase frequently to meet baby needs. The Internet vendors usually provide very large pack size (box) aiming to let consumer shop once to fulfill purchase demand and also offer cheap prices that offline channel cannot compete with. Besides, the development of online in toilet paper and laundry products are resulted from their bulky weight characteristics, home delivery benefit is easy to push consumer to purchase them online. Online channel’s value importance is also high in those categories, 6.3% and 5.8% respectively. In order to react to the unique character for each category, it is crucial for manufacturers and retailers to deeply investigate consumer needs and expectations and then to plan their online strategies to create online shopping’s attractiveness. Top five shampoo brands has accounted for 20% of market share in offline channel, but they only reached 4% in e-commerce. This represents that consumers tend to pursue more new product experience in Internet world. The fact in shampoo market has reflected a truth that international big brands have been threatened by emerged small brands in e-commerce. Relying on their rich marketing resources, those international big brands usually occupy the greatest share of voice and best display shelf in offline channel; however, many niche brands or local/foreign brands are competing intensely in the web-based fantasy world; they often utilized internet community to share consumers’ unboxing, and leave no room for international big brands. Moreover, people who love online shopping usually tend to accept new product concepts easily and also are more willing to make trial purchase (for example, the households who have participated in online shopping owned 0.7 bottles of shampoo more than the households with no online shopping experience). In order to response to this trend, those new shampoo brands selected e-business platform to launch their new products and they can easily reach their target consumers without complicated negotiation with offline channels. Similar findings have been found in snack foods. There are lots of snacks sourced from various countries in the e-commerce, and those snacks perform quite well by mainly targeting young generations. In addition, if they are satisfied with this product, they are more willing to share this great new product experiences with their friends through internet community or instant messengers, to make this products boost in the same type of consumer group. Today, few manufacturers has commenced to launch their new products in the Internet platform, to test the market response first, to collect consumers’ first-hand feedback, and then to distribute new products to offline channels by verifying and amending the products. This cost-efficient model can be considered as a good reference for New Year’s online business strategy. In an Omni-channel era, offline and online channels are both important channels to each manufactures and retailers, and it is necessary to design different operating strategies for different channels by understanding consumer behaviors. E-commerce can assist the brand to touch more consumers to increase sales; thus, the manufactures need to investigate and develop good commodities to fit next generations’ needs, and to co-operate with e-commerce channels, to launch attractive sales program, and to make more consumers see your products through interacting with consumers to promoting and expanding advertising effectiveness.